Interest in modern urban music from Africa is growing worldwide. Music Around Africa attempts to give a rough overview of the diverse and dynamic music scenes south of the Sahara. In this 12-part series of radio shows, activists, journalists and musicians (some of whom engage in several of these activities) from a dozen African countries talk about “their” music scene: about current trends and artists, the prevailing political and cultural conditions, historical developments, and about seminal musicians with a significant influence on music styles. So this is an excellent opportunity for specialists and music lovers inside and outside of Africa to find out about contemporary African music and quite possibly make some exciting discoveries. The radio shows were put together in collaboration with the Deutsche Welle Akademie over the course of two workshops in Abidjan and Johannesburg, which also gave the participating authors a chance to network with one another and exchange news and views on the situation of creative artists in their countries. Based on the English and French originals, ByteFM online radio has produced German versions which are broadcast biweekly, every other Monday at 8pm. 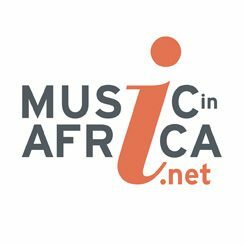 After its premiere on ByteFM, each show can then be heard on the Music Around Africa website. Just click the corresponding spot on the map of Africa for the audio links and further information. Thanks to the DW Akademie’s efforts, each broadcast can be heard in three languages: English, French and German. We hope you will enjoy your exciting musical trip to Angola, Burkina Faso, Côte d’Ivoire, Ghana, Cameroon, Kenya, Mozambique, Nigeria, Ruanda, Senegal, South Africa and Zimbabwe! Music Around Africa is a cooperation of Goethe-Institut, the online radio ByteFM and Deutsche Welle Akademie.